Friday afternoon I spent some time with Rev. Frank Frischkorn. 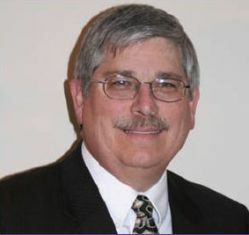 Pastor Frischkorn is the Regional Executive Pastor for the American Baptist Churches of Pennsylvania and Delaware. It was good to spend some time together and share our life and ministry experiences. My schedule got a little sideways and we only had just over an hour together. As with most conversations some of the best pieces took place in the parking lot. As Frank and I were parting ways we talked of the transformation, renewal and revival that takes place in our world as the Kingdom of God is unleashed. I can’t quite remember how that piece of our conversation started. I do know that Cancer has helped me think much clearer about life, death and what is most important to me. That clarity is refreshing. It can also be a little dangerous. I find I am quicker to speak truth and sometimes others may not be ready to hear the reality of what is going on. I find part of walking this season well is learning to speak truth clearly and boldly while helping people walk through the realities the truth reveals. Frank is a man of deep faith so we share a common sense of purpose and vision. I did not have to censor nor chose my words carefully. We were talking about how my Cancer diagnosis was impacting my life, ministry and First Baptist Church. I laughed and said that in each area I can see how God is working to redeem and transform what was meant for bad into something good. Personally I have been forced to move at a different pace. I have slowed down and moving at that slower pace I have become more sensitive to that “still small voice” which God uses to guide and direct us. I have had to rely upon the strength of others to accomplish what I would have previously done on my own. I am more sensitive to the suffering of others. As I walk through a store or look around a crowded restaurant I cannot help but wonder how many people are traveling a similar journey as I am. I find I am more gentle. Some of the things which used to make me upset or cause me to lose my cool…well they just don’t seem to matter anymore. I am becoming more the person I have wanted to be. God is using Cancer to transform me into the person I was meant to be. My ministry is transforming as well. I find that with less energy I am more intentional with where I invest my time. I do not rush of and try to do everything. After reviewing the next six months I have chosen four or five areas in which to focus my attention. My preaching has changed as well. I cannot explain it but there is something deeper, more personal in what I share. At our last Elder / Deacon meeting we were talking about changes to the church since last May and someone commented, “your preaching has a depth to it which is different”. Again, I cannot explain this. It is something God is doing to transform, renew and revive my Cancer diagnosis into something life giving. First Baptist Church has been changed because of Cancer diagnosis as well. We are learning how to come alongside each other and support the different ministries God has called us to. It has been interesting to watch as people have stepped up to help take care of ministries that not to long ago may have been left for the “pastor to take care of.” This type of renewal and transformation will lead to growth and revival within our community. It is just one more way God is taking what was meant for bad and bringing about the kind of revival that will build the Kingdom of God. As Frank and I parted ways I laughed and said, “This Cancer thing is just another picture of the gospel at work. 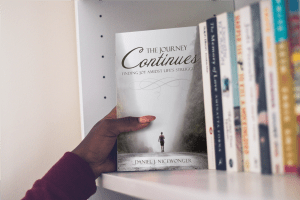 God is at work renewing, reviving and transforming what was meant for bad into something that is life giving and Kingdom building.” The challenge is to continue to walk in faith as we travel this journey. We are living out the gospel as we move forward with boldness believing God has the ability to transform even the most difficult and unnerving of situations. Easter is coming. I will be the first to admit that this is much easier said than done. There are days when I am overwhelmed and overcome by the reality of what this journey means. It would be much easier to find a rock and crawl under it…and there are times when I find myself searching for a rock big enough. Each time I find myself in that dark place I eventually decide it would be better, and more fun, to continue walking and working for transformation, renewal and revival. While Kingdom work is seldom easy it is always rewarding as we see God do what only God can do in the lives of individuals and our communities. I enjoyed my time with Frank. It helped me clarify and get clear on my commitment to stand with Paul and my desire to “know the power of his (Christ’s) resurrection”. If God would grant me the privilege of being a part of Kingdom growth, renewal, revival and transformation as I continue my journey through life I would count myself blessed. Filed Under: "My New Normal"